Teachers, parents and pupils of The Ashwood Academy today celebrated its first Ofsted ‘Good’ grade. Since opening in 2014, the school has worked with 228 young people who have been excluded from mainstream education, supporting their academic and pastoral development until they are able move back into mainstream education. Pupils feel safe as they develop trusting relationships with each other and the adults who care for them. The work of the school is respected by others, including the local authority. Pupils from low starting points make good and sometimes rapid progress in English and mathematics. 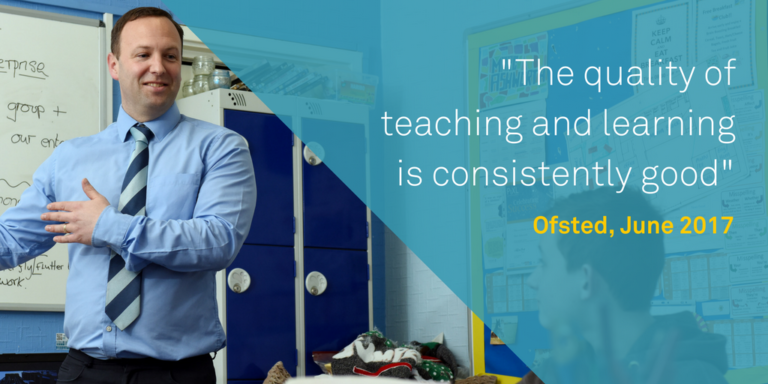 The school’s curriculum fosters pupils’ enjoyment of learning and facilitates success. Pupils respond well to developing a range of skills including in areas like art, business and religious education. Pupils’ attendance is excellent. 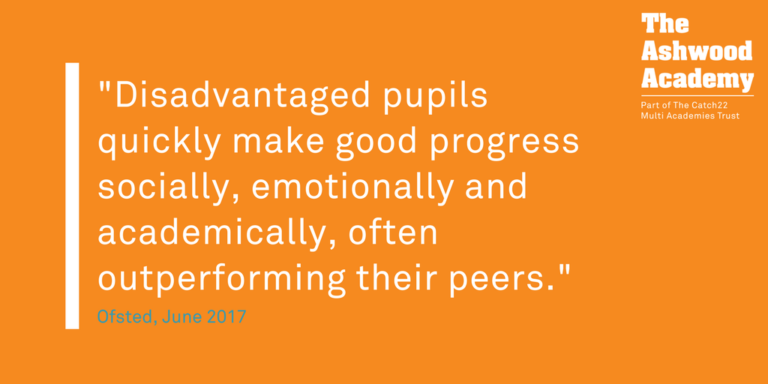 Pupils enjoy school life and some speak highly of the strides they make in managing their own behaviour allowing them to learn increasingly well. Behaviour between pupils is positive as adults’ expectations are high and fully understood. Extra-curricular activities such as tennis, philosophy and cookery develop pupils’ social skills rapidly, fostering team spirit and communication. The school has very strong links with the wider Basingstoke community, including local businesses. Greggs, Warburtons and Kellogg’s supply food and resources for the school’s Breakfast Club and Breaktime clubs, encouraging young people to eat regular and healthy meals to focus their attention, while Motorola has donated equipment for the school’s kitchen. “I am really pleased that Inspectors have recognised all the excellent work that goes on here. I have a truly dedicated staff team, ably supported by Catch22’s fresh approach to education, our colleagues within Basingstoke and the Local Authority. Everyone has supported us in raising standards.